Still wearing the same pants as last week? Tired of wearing the same torn, dirty underwear day after day? 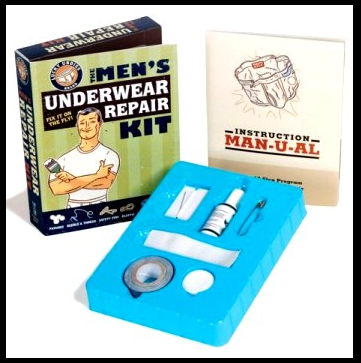 Now you don’t have to, thanks to the Men’s Underwear Repair Kit! This handy, inexpensive kit provides everything you need to get your unsightly undershorts back into presentable shape.